In a General Notice, published by the Minister of Water and Environmental Affairs, Bomo Edna Molewa, dated 23 August 2013, there is a clear indication that the state intends to allow exploration for the purposes of shale gas production. 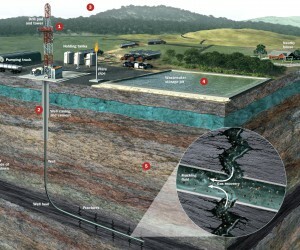 The process used to obtain shale gas is colloquially referred to as "fracking". The Minister has also reiterated in a press briefing in Pretoria, that these activities will be strictly controlled by the Department of Water and Environmental Affairs ("DWEA") to protect the environment and South Africa's water resources. This Notice, says Peter Flynn of The Environmental Law Consultancy, means that anyone intending to commence with exploration for shale gas using fracking, will have to have to obtain a water use licence. As the Notice mentions “exploration and production” it is also an indication that the regulatory framework is already been amended to permit shale gas production using fracking. The general public has been invited to comment on the Notice and have been given up to 22nd October to do so. This can be done by emailing fracking@dwa.gov.za. It is now acknowledged, said Flynn, that the whole fracking issue is highly controversial and polarised, with both sides accusing the other of doing a lack of research, or using biased research. He said, with fracking operations now operating worldwide (recent examples being in Australia and in California), there is a formidable amount of data for both sides to research. 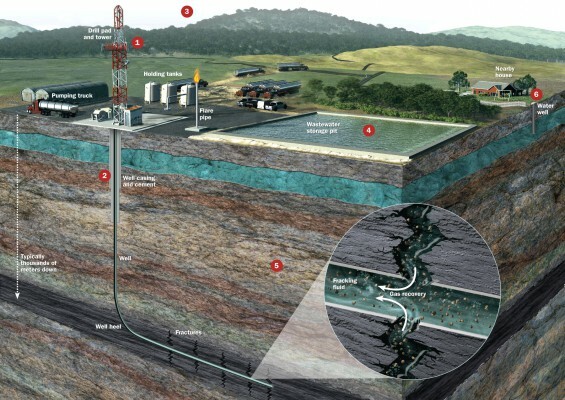 In September 2012, South Africa lifted a moratorium on shale gas exploration in the Karoo, where a potential 390-trillion cubic feet of technically obtainable shale gas sits beneath the surface according to the latest US Energy Information Administration ("EIA") study. If the EIA estimates are accurate, this makes the Karoo the fifth largest shale gas reserve in the world. The gas under the Karoo could provide 400 year’s worth of energy for South Africa. According to the South African government, for every 30 cubic feet of gas produced, the sales value would be one trillion Rand. Those lobbying on behalf of fracking have pointed out that unemployment in Karoo towns like Craddock and Colesberg has for some years been way above the national average, and that the Karoo is one area that desperately needs some form of new industry. It has also been pointed out that the social and environmental impacts of using fracking to obtain shale gas should be considered in light of the alternative, which at this stage in South Africa, is almost exclusively open pit mining to obtain coal. Employees of shale gas operations are typically higher paid than most of those in the mining industry and the work is generally safer, healthier and more often more pleasant than the work required in mining activities. The opposition claims that there is no 100% guarantee that water resources will remain uncontaminated. They cite the fact that the guarantees of oil companies worldwide, in view of some of the disasters they have experienced elsewhere, simply cannot be relied on. Flynn said that there are significant additional environmental and safety risks associated with fracking, which have not been contemplated in terms of the legislation. These additional risks will need to be very strictly regulated using legislation and the legislation will need to be properly enforced by the DWEA. Apart from the requirement that a water use license be obtained for the purposes of exploration, no other legislation specifically dealing with fracking or shale gas production has been proposed or promulgated.